communication gaps to both internal and external stakeholders. Sandy orders a laptop from an online retailer that promises to deliver it on the next day. However, after the promised deadline, he still hasn’t got to enjoy his new laptop. He has no status updates, no delay notification and ends up calling customer care, which is equally clueless. The customer care exec has no communication mechanism with the shipping agency. Same purchase, but the retailer now has cloud CRM. After ordering the laptop, Sandy gets a mobile notification stating how long it will take to deliver. The customer care executive gets real time updates and alerts from the shipping company, which he duly logs in the system. In the case of unanticipated delays, he can directly call Sandy to inform the same. CRM provides you the perfect platform to manage information flow seamlessly, both internal and external. Can you take off a plane in zero visibility due to fog? Only if you want to crash it. Lack of CRM creates a foggy situation where none of the participants are clueless about their work status. Implementation of an enterprise CRM can help departmental functions like sales, marketing, service, logistics, IT etc. get a clear view of how things stand in real time. They can see at which stage a prospect, lead or customer is in. 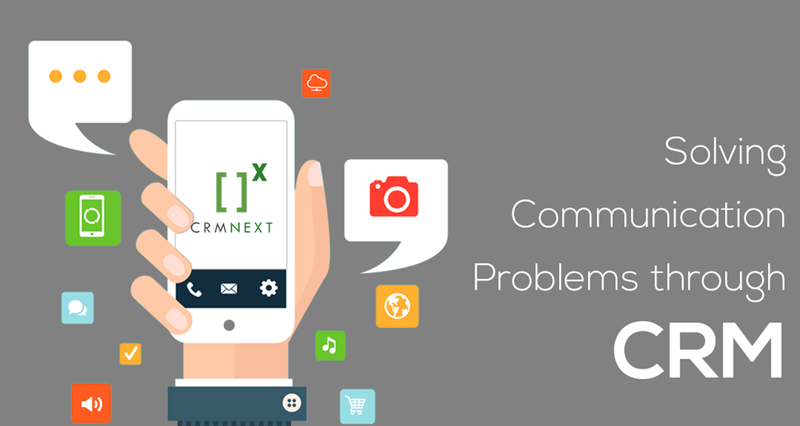 Cloud CRM solution can help plug in communication holes through real time alerts and notifications. Pursuant to the above examples, the customer care rep can update the shipper about the successful delivery, who in turn, makes updates when orders are shipped or serviced. These alerts can be differentiating factors amongst your competitors. Cloud CRM solutions help sales people to create 360° profiling of customers with information that helps in cross-selling. The CRM software also provides a platform to monitor customers buying habits. Easy and user friendly date entering fields help them to keep records of sales meeting that gives them insights for improvement. There will be no more wastage of time from tedious and irritating data collection from customers during service resolutions. In this digital age, customers expect fast and accurate responses. With every information related to the customer and their purchase order at the service rep fingertips, there should not be any delay in information delivery. In the above example, Sandy gets his information in minutes rather than the typical three working days due to ready information available with the retail customer service executive. You can create, design and deploy standardized response templates with a personal touch. They save a lot of time and avoid common errors associated with a manual response. Sending a personalized receipt after a successful purchase is a great example. You can add discount codes in these templates for repeat purchases as well. You can schedule automated service follow-up with your customers. Most companies lag behind in follow-ups which translate into low customer retention numbers. You can put in place reminder alerts for emails and calls for contacting the customers about status updates, service feedbacks, payment reminders etc. Synchronizing your communications through CRM solution will allow you to welcome high value clients and retain them for long. You can build long lasting relationships with your customers that can give you maximum value from your partnerships. A CRM blog where brands find their recipe for growth!